You can take a virtual tour of our new office here. 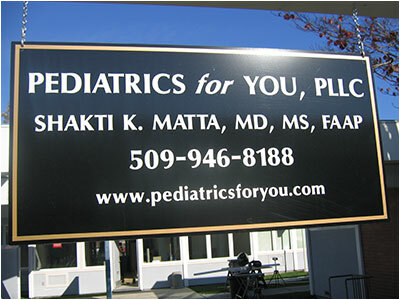 Pediatrics for You is very conveniently located in Kennewick, WA (behind Toyota Center, and close to Columbia Center Mall). It is easily accessible from all over Tri-cities and surrounding towns. We moved into our new facility in Oct. 2011. As you drive into the spacious parking lot, kids get excited looking at beautiful and colorful butterfly and inchworm sculptures. The waiting lobby is spacious and colorful and has two separate waiting areas and a separate kid’s play room. Sometimes it is difficult to get the kids out of the playroom after 10-15 minutes, our typical wait times. The exam rooms are spacious and well-lighted with lot of natural light. We have dedicated colorful and engaging weighing stations to keep the kids occupied as they get weighed and measured. We try our best to keep your visit pleasant and productive. 6802 W Rio Grande Ave.
We also offer Same Day Sick Appointments for acute care. 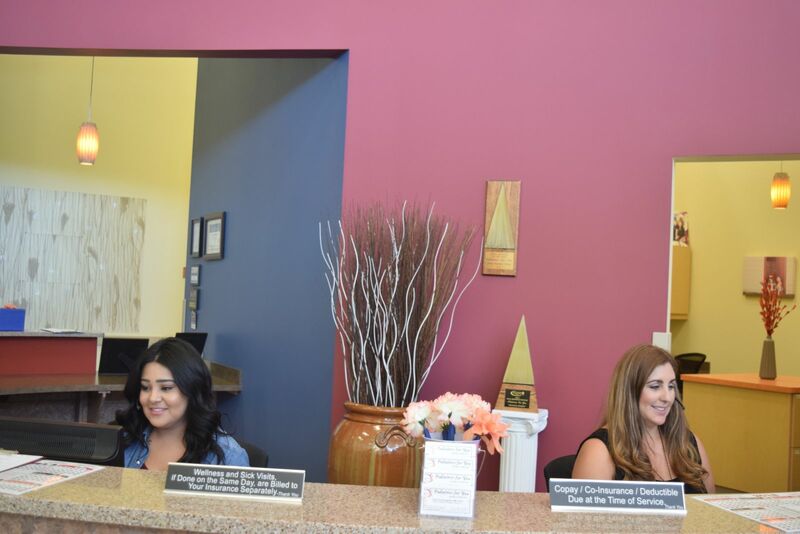 We encourage you to review our Appointment Policy here. Please visit our Services page to familiarize yourself with the the well-child schedule. Please visit our Newborn and Hospital Care page for more information on Meet and Greet Visits for expectant mothers. We triage and assess your phone calls on clinical issues. We prioritize the phone calls based on the clinical issues and its severity. We believe in a responsive clinical practice and all phone calls are returned before the close of the business day. We also believe in practicing safe medicine and we may advice you an in-office visit based on the clinical issue and its assessment over the phone. In most instances, we are able to schedule a same day sick visit. Leave your child’s name and date of birth. Be sure to leave a callback number. Disable your call block feature. We accept lot of different insurance plans and self-pay patients. Please do not hesitate to call our office if you have questions on insurance or billing or need help with a payment plan. We offer different options for payment plans. Call today at 509-572-2201 for more details. Co-payments are due on the day of service. We gladly accept cash, checks, and credit and debit cards for your convenience. Please review our Payments and Financial Policy here.